On March 17th, 34 Richview students and three of their teachers returned from a 12 day long trip to Western Europe. Visiting a total of three countries (France, Belgium and the Netherlands), countless monuments, sites and cities, the trip was a resounding success. 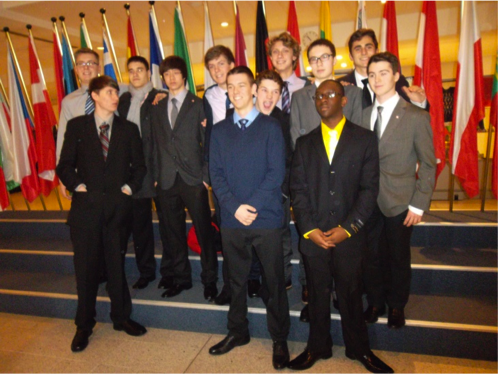 On March 6th, the group left Toronto for Schiphol Airport, in Amsterdam. 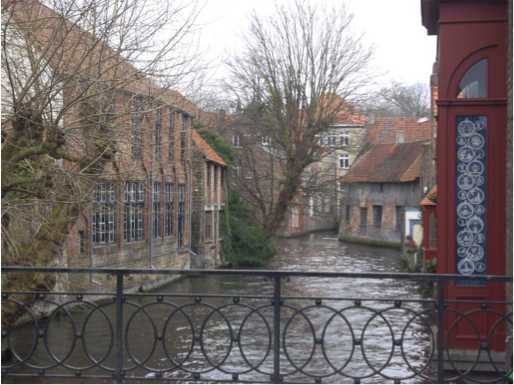 Led by Mr. Nunes, a former resident of Europe, the students travelled from Amsterdam to Bruges, in Belgium, where they spent three nights. While in Bruges the students visited the European Parliament and The Royal Central African Museum, the largest museum on African culture in the world. They also spent some time in the beautiful city of Brussels. From Belgium they went to Caen, in France. This marked the beginning of the “war” part of the trip, during which the group visited several cemeteries, monuments and museums dedicated to World War I and II. 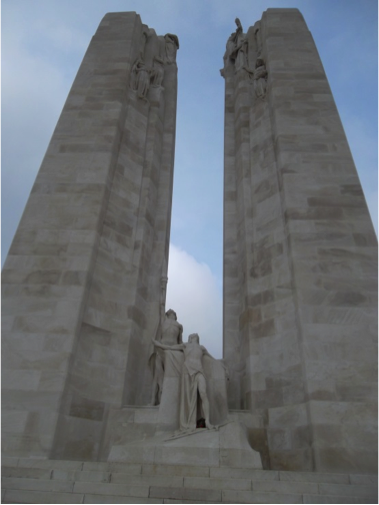 Among these sites were Vimy Ridge and Juno Beach, two major battles fought by Canadian soldiers. It was during the visit to the formerly mentioned beach that the group would encounter their one challenge throughout the trip: inclement weather. Although the weather in Bruges had been damp at best, the weather in Caen proved to be thoroughly freezing, with gusting winds and up to five inches of snow. European cars, being unaccustomed to snow (and lacking snow tires) where getting bogged down, and our Richview students had to bravely venture out of their comfortable bus and help push them out. The next morning the group left for Paris, the penultimate city on the trip, where they stayed for three nights. During the day, they visited The Louvre, the Chateau de Versailles, and Notre Dame Cathedral, shopped on the Champs Elysees, as well as several other sites around the city. One dinner in the Montmartre quarter the students had a particularly memorable dinner with a group of students visiting from Mexico. They finished with a luxurious dinner on the Eiffel Tower. Coming full circle, the Richview students returned to Amsterdam (this time via train), where they spent their final two nights in Europe. There they stayed in the beautiful Convent Hotel Amsterdam. During their stay they visited notable monuments such as Anne Frank’s house and the Camp Vught concentration camp. The next morning, they returned home safely to Toronto, and woke up just in the time the next morning to get to school. The food and lodging throughout the trip were fantastic, with large comfortable hotel rooms (and notably good continental breakfasts) and delicious dinners from small pubs to high class restaurants. Even the group’s vegetarians were accommodated for by the kind staff. Mr. Nunes plans on taking another group of Richview students on the same trip next year for March break.